Serve static content such as HTML pages, CSS files, or images that won't be changed as a result of your application's operations. Simple, static HTML websites can often run for free by using App Engine's free tier. In this example, you add code to the gophers-1 sample, which is the final product from Setting Up Your Project and Application. index.html: Static HTML file to display your homepage. style.css: Stylesheet that formats the look of your HTML file. 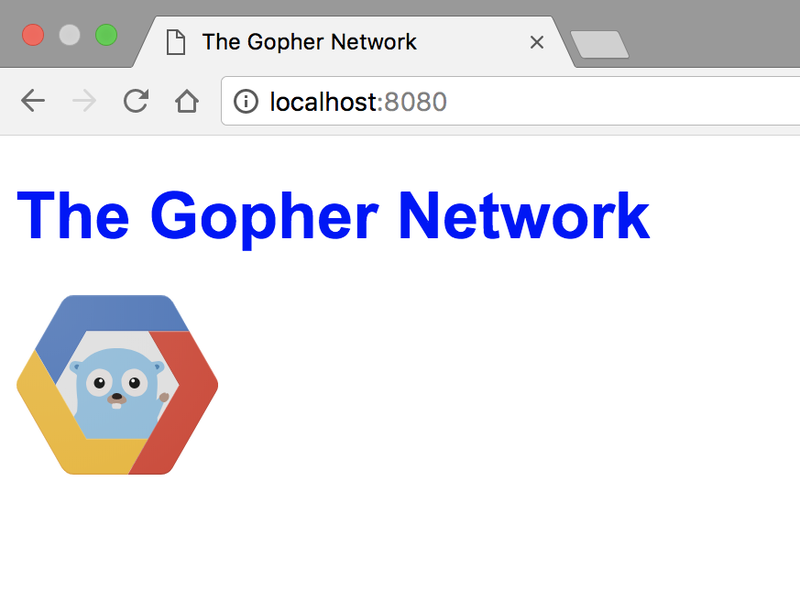 Right-click on gcp-gopher.svg image link and Save link as... to download the image to your static directory. Serving static files is more efficient for some content, such as images or CSS, that remain unchanged. The handlers section now defines three handlers for URLs. When App Engine receives a request for a URL /static, it maps the remainder of the path to files in the static directory. If an appropriate file is found, the contents of that file are returned to the client. For more information on URL mapping and other options you can specify in app.yaml, see the app.yaml reference documentation. Run and test your application using the local development server (dev_appserver.py), which is included with the Cloud SDK. You just built an application where a web frontend communicates with your Go backend! Next, learn how to create a basic form that uses HTTP POST to display user-submitted content on an HTML template.